For overseas participate arrive at the world jamboree campsite, the nearer airport to take is using Denmark's Copenhagan Airport. So today topic is about Copenhagan Airport and how to get to the campsite by train connection. A bridge connects Copenhagen Airport with Sweden. The Bridge is called Øresund Bridge which is about 16 kilometres long, and it offers speedy and easy access to Sweden by car, train or bus. All trips across the Øresund Bridge are paid in Sweden. If you are driving to Sweden, you pay the toll after you have crossed the bridge. If you are headed for Denmark, you pay the toll before you cross the bridge. A train crosses the bridge every 20 minutes. Tickets are available from the DSB ticket office above the railway station in Terminal 3. Tickets and travel cards (for the Copenhagen and Northern Zealand HT-zone) are also available from ticket machines in the station area. The ticket office is located in Terminal 3 above the railway station. There are lifts and travolators between the platforms and Terminal 3. You can take the free shuttle bus which runs between Terminal 1 and Terminal 3, where the station is located. The bus journey lasts about 5 minutes. Please see the websites of DSB and SJ for further information. 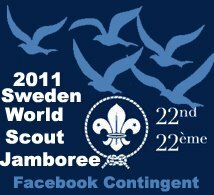 Scouts from every country in the world should have the chance to come to the 22nd World Scout Jamboree. 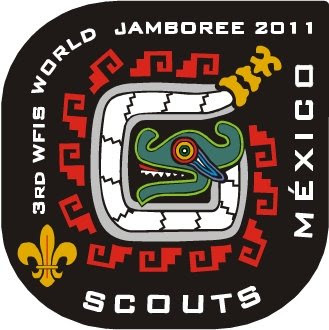 To help Scouts who have economic difficulties to participate in the Jamboree, a solidarity fund has been established, called Operation One World. 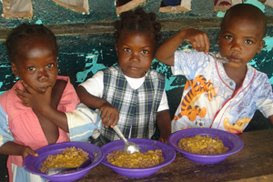 Operation One World will ensure that all fund recipients have everything they need to fully participate in the event. Fundraising for Operation One World has already begun, and several large target donors have been identified. National Scout Organisations are also essential to the success of the Operation. Contributions to Operation One World can be through direct financial donations or through helping participants from a specific part of the world. Contingents are encouraged to think about how they can expand any existing partnerships they have to include participation at the Jamboree. To find out more about Sweden Road Signs, click here. Which side of the road should I drive on? Until 1967, traffic in Sweden drove on the left, as we do in the UK. Then, at 04.50 in the morning on September 3rd, traffic all across the country was directed over to the right side of the road and stopped still for 10 minutes before setting off again at 05.00, this time driving on the right, where it has remained ever since. It is hard to imagine how such a logistical operation could have been accomplished on British roads, even in 1967! Are roads in Sweden busy? Swedish roads generally have far less traffic than the UK, and in many areas it is possible to drive for hours without meeting another vehicle. Outside major cities, traffic jams and queues are very rare, though you are likely to experience delays in Stockholm during peak hours. Are the roads in good condition? Roads in Sweden are generally very well-maintained. Rural roads may have some bumps and pits, especially in winter, and forest roads in more remote areas are likely to be unsurfaced (known as "Grusvägar"). What special requirements are there? Motorways are toll-free. You must drive with your headlights on at all times. If you hire a car in Sweden, headlights will be switched on as standard. You must also carry a warning triangle in the car, which you should place 50-100m behind your vehicle if stopped on a road. Again, this will be standard equipment in a hire car. Does Sweden have congestion charging? Areas of central Stockholm do operate congestion charging at certain times. If you are hiring a car, there may be an arrangment for making your payment for congestion charging in advance, with an advance charge made for each day you will be driving into Stockholm in a qualifying vehicle during the charging period. Please contact your chosen hire company for more information. What about parking in Sweden? Parking regulations are generally clear and easy to follow. In cities you will usually need to pay for parking, either at an on-street meter or ticket machine, between 8am and 6pm. If parking on the street, keep to the right side only (don’t park against the flow of traffic). There are a number of lay-bys for parking on main roads (see also our article on the Swedish Right of Public Access for regulations on overnight parking). What is the speed limit in Sweden? Don’t forget that speeds and distances in Sweden are measured in kilometres (1 mile=1.6km). Swedes will often talk of distances in terms of “mil” or “Swedish miles”: 1 mil=10km, so if a Swede tells you it is "10 miles to Gothenburg", they mean 100km! On motorways (roads marked with blue signs), the limit is 110kph/68mph. Main roads are marked with green signs and usually named with E plus a number (e.g. E14 for "Europaväg 14"). Speed limit here is 90kph/56mph. In towns the speed limit is 50kph/31mph. Other speed restrictions are clearly marked. Does Sweden have speed cameras? Yes. Presence of speed cameras in an area is usually clearly marked by signs. They look a little like a cross between a traffic light and a Dalek! The level of the fine is dependent on the amount by which you exceed the speed limit, and for serious offences your driving license may be withdrawn. Is there a danger of animals on the road? Driving in Sweden is an excellent way to encounter wildlife, and during your travels you may be lucky enough to spot moose, reindeer, deer, hares, red squirrels and perhaps some of the rarer animals. However, many Swedish roads travel through densely forested areas and animals on the road are a hazard to be taken seriously in order to prevent casualties among both the animal and human population. There are around 4500 accidents involving vehicles and moose alone each year in Sweden, resulting in 10-15 human fatalities. Major roads will often have fencing to prevent animals crossing, though there will be periodic breaks to allow animals to cross. Danger points are clearly marked, but you should be aware of animals on the road at all times. If you wound an animal and it wanders off into the forest, mark the spot where it entered the forest with a ribbon or by some other means and call the police. The police will then attempt to track down the animal to put it out of its misery. It is not a criminal offence to hit an animal. What about drinking and driving in Sweden? Sweden has some of the strictest regulations relating to driving and alcohol consumption of any European country. The legal blood alcohol limit is currently 0.02, compared to 0.08 in the UK. Police have the right to demand a blood sample and failing a test will result in imprisonment. Do I have to wear a seatbelt in Sweden? Yes. Seatbelts are compulsory both front and rear. Children under 7 must have an approved seat, and it is illegal to use a backwards-facing child seat in cars with an airbag on the passenger side. How old do I need to be to drive in Sweden? The minimum age for driving is 18. Do I need to carry documents with me? It is a good idea to carry your driving licence, registration documentation, passport and insurance certificate with you when driving. What are some useful Swedish words to know for motorists? What is the number for emergency services in Sweden? Dial 112 for Police/Fire/Ambulance Service. 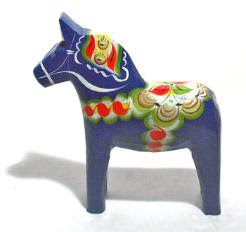 The Dala Horse is a popular Swedish handicraft and souvenir. The name comes from its home province, Dalarna, in central Sweden. Most popular are the red-orange horses from the little village of Nusnäs near Mora. 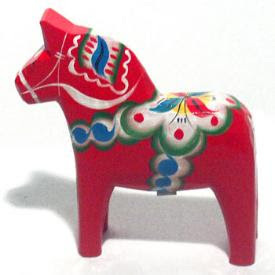 The Dala Horse gained international popularity when it was chosen by the National Crafts Union for part of the Swedish display at the Paris Exposition in the mid-19th century. 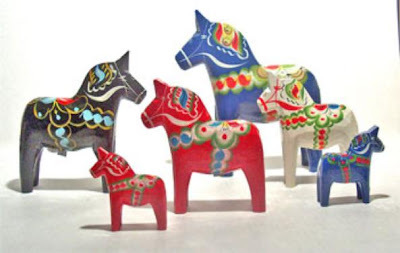 Skills for creating the Dala Horse have been passed from generation to generation and today it is one of the few living folk traditions of Sweden. Men of the village carve the horses at home, bringing them back to the main workshop to be painted by skilled artists there. Most Nusnäs-Mora Dala Horses are the traditional reddish color, but the same workshops also produce blue, black and natural horses. Other towns in the region are known for different colors and styles of horses. It seems appropriate that the Dala Horse was selected by the city of Lindsborg as its symbol of identity with Swedish customs. The practice of using a Dala Horse-shaped plaque at the entry of homes, bearing the address or family surname, was begun in Lindsborg by local artists in the early 1960's.